We have a tendency to take most industry projections with a large grain of salt, but in this case the news that just came across the desk supports what Southern California Graphics is already experiencing. The research arm of the Association for Suppliers of Printing, Publishing and Converting Technologies – the acronym is NPES, based on a former name – reported two weeks ago that wide format printing demands in the highly-valued North American market will grow by approximately 25% by 2018. But SCG has already been there and already done that. Investing in the best people and in the latest technology has been a hallmark of our company success since we began in 1974. This commitment to quality and service has made SCG one of the nation’s leading wide format printers. But it takes more than good people and equipment to make such a splash. Ultimately, customers have to have mounting success in with the wide format print products they order. That, it seems, is not a problem. Demand for a wide format printer such as SCG is fueled by providing a high quality product that works. And wide format printing works through the consistent delivery of attractive, durable, and versatile products that command attention and generate a suitable return on your investment. When our wide format print products take the ultimate test, that is, when they are finally presented to consumers, they are met with positive impressions that result in greater demand for your product or service. Even if you’re not selling – say you are promoting an event or providing an announcement – the wide format printer team at SCG will make sure that your image is presented in the best possible light. SCG uses high quality materials and state-of-the-art wide format printing technology to create what was dreamed of only a few years ago. The creative development of your wide format printing project is crucial, of course, but having your order produced by an experienced printer will help ensure that it gets the attention it deserves. 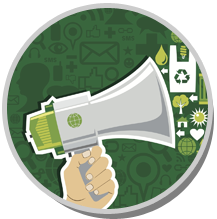 At the same time SCG is creating your custom project, we’re also taking extensive steps to protect the environment. Southern California Graphics (SCG) has been a trusted name in printing for over 40 years. Our design and production teams understand how a target audience experiences a brand, and produces exceptional visual products, including a complete line of wide format printing options. 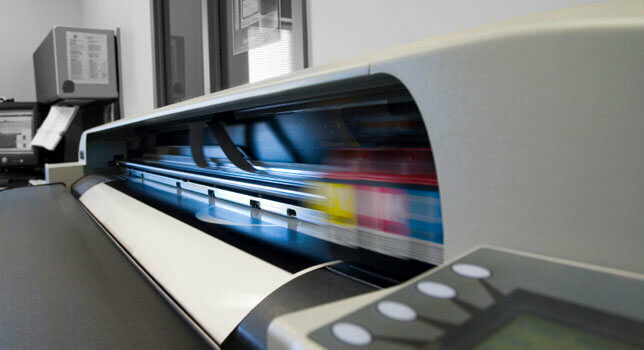 Our print shop houses only the leading edge technology print equipment and machinery to help produce the right wide format materials to satisfy all of your marketing strategies. To help get a good return on your wide format print investment, turn to SCG to get the response you want. For more information, call us at (310) 559-3600.